TRANSLATED FROM THE LATIN, BY J. A. GILES, LL. D. LATE FELLOW OF C. C. COLL., OXFORD. VOLUME II BIOGRAPHICAL WRITINGS, LETTERS, AND CHRONOLOGY. LONDON: JAMES BOHN, 12, KING WILLIAM STREET, STRAND, MDCCCXLV. 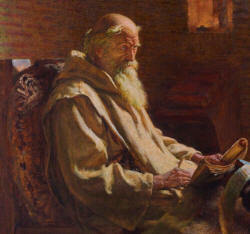 OF VENERABLE BEDE, IS MOST RESPECTFULLY INSCRIBED, BY HIS LORDSHIP’S OBEDIENT AND HUMBLE SERVANT, J. A. GILES.